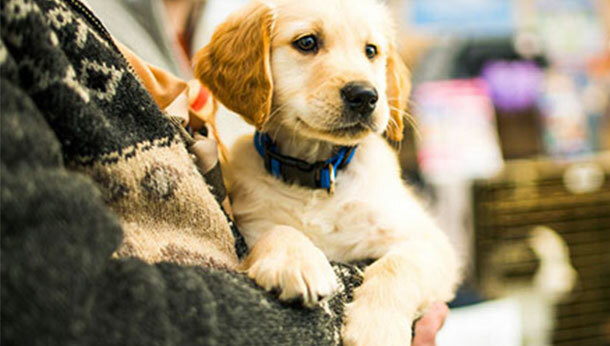 Research for Puppy Awareness Week has shown the shocking state of the puppy buying and selling industry in the UK – with too many people ending up with pups who are suffering from health and behavioural problems, after being bred by puppy farmers. Puppies from puppy farms are bred with no regard for their health and well-being and are kept in appalling, unsanitary conditions. They are often sold onto unsuspecting puppy buyers, who don’t know what danger signs to look out for. A quarter of puppy buyers think they have bought from a puppy farm. More than one in three could not spot if they were buying from a rogue breeder. Almost one third of people don’t see the puppy in its actual breeding environment and amongst these 8 percent had their pup delivered to their door. 12 percent pay for their puppy before they have even seen it. Almost one in three (31 percent) who buys online has a pup that gets sick or dies in their first year. Buying a puppy should never be quick or instant - we’re so used to being able to buy things online that sometimes we forget that some things should not be so effortless to buy. A responsibly bred puppy will be loved and cared for by its breeder who will be reluctant to give them to anyone other than the ideal owner. If you are thinking about buying a puppy then why not book in for one of our FREE puppy pre-purchase consults. Here we can talk through everything you need to know about becoming a new owner. What type of dog suits your lifestyle? Plus any other questions you would like to ask our team.